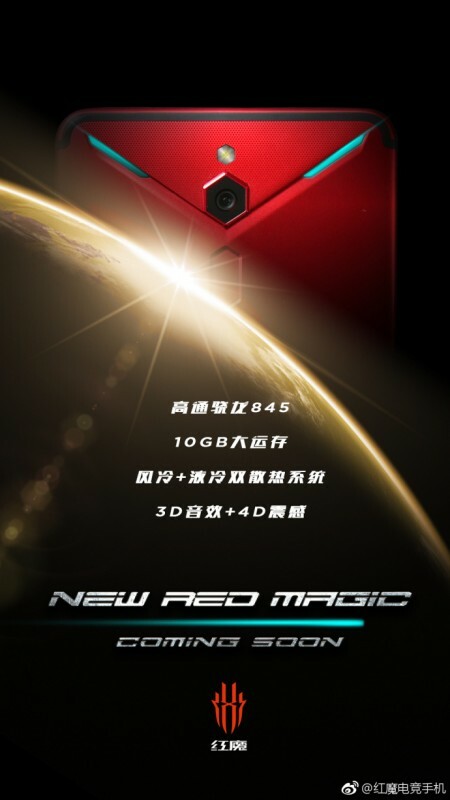 ZTE’s sub brand nubia has posted an official teaser for its upcoming Red Magic 2 smartphone, detailing key features such as the Snapdragon 845 chipset and 10GB of RAM. That’s a bump from the original Red Magic’s Snapdragon 835 and 8GB of RAM and a match for Xiaomi’s Black Shark Helo, announced two days ago. Other improvements include the use of both air and liquid cooling in the smartphone to help keep temperatures down during gaming and the inclusion of 3D surround sound (implying the Red Magic 2 will have stereo speakers). We’ll also get what nubia calls 4D gaming enhancement, but we are yet to learn what that means.